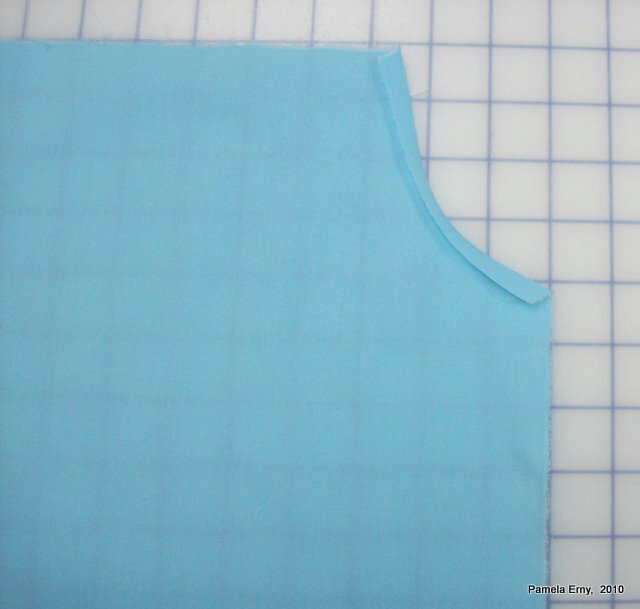 This is a technique for facilitating a rolled edge using a serger. 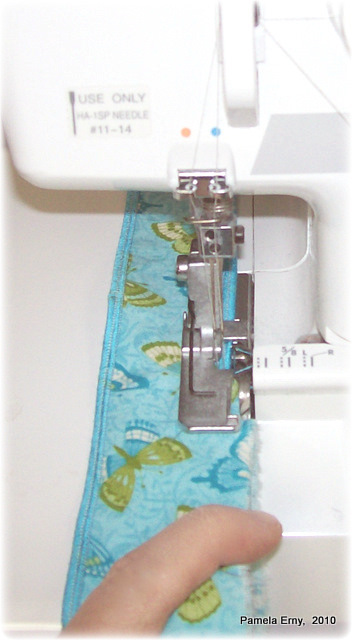 First, set your serger up to do a rolled hem, according to your machine's owner's manual. Next, as you feed the edge to be rolled...notice how I use my finger to hold the fabric edge taut while also bending the edge slightly so that it is already "persuaded" to roll. You will also notice that I keep my serger knife in the upward position when doing a rolled hem. I find that I get a better rolled edge if I start with the "cleanest" straight edge as it feeds into the machine. In this demonstration I used all four threads...my ultra-cheap serger just does a better rolled hem using 4 threads. Here is the strip of medium weight cotton with it's rolled hem...look, no "Pokies" (loose whisker threads) ! 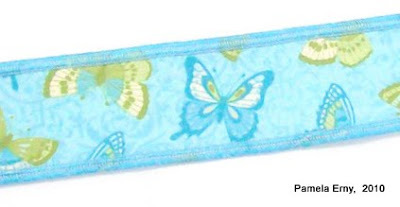 This strip of fabric being roll-hemmed will be used to make a decorative "Euro-Ruffle" embellishment. Coming soon....I'll show you my method for making "Euro" center-stitched and gathered ruffles like the one shown below, without having to pull threads to gather! 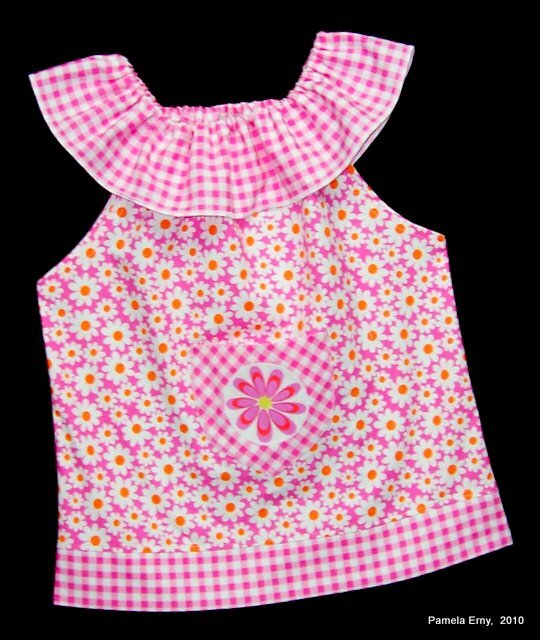 Whether sewing a top or dress for children like the one pictured above, or garments for adults, often the "turned-and-stitched" concave curved edges, of necklines, armscyes, and shirt hems pucker and twist...no matter how careful we are. 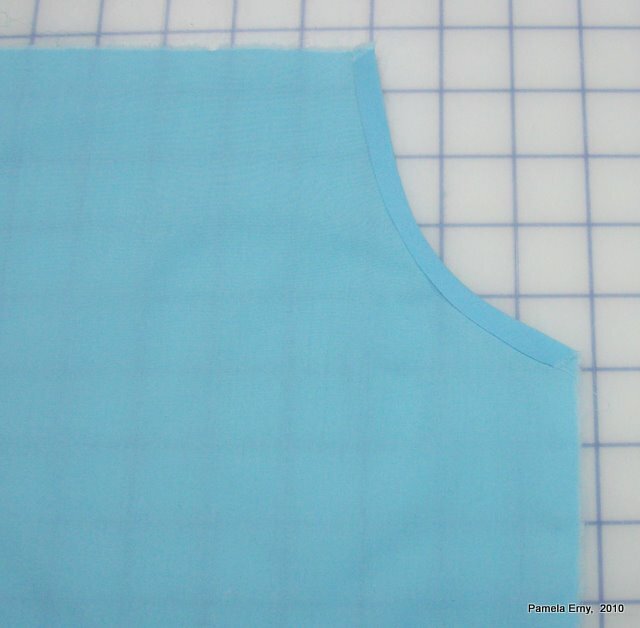 While the pattern for the blouse pictured above had good directions for turning a nice smooth armscye, most patterns just tell you to turn the fabric edge twice to the wrong side and top-stitch, and skip a crucial step. 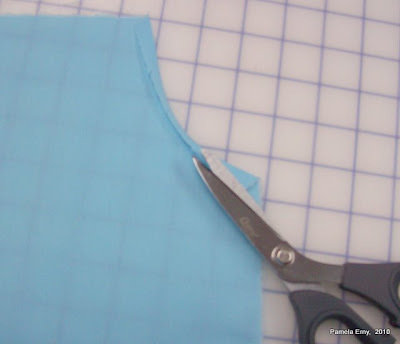 Some of you who are experienced sewists no doubt are already familiar with the technique shown below. 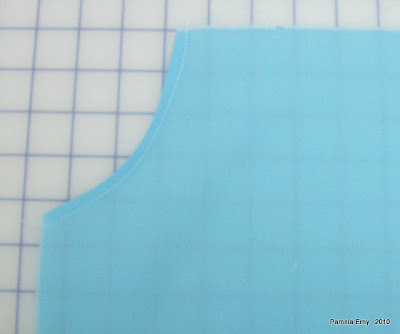 For those who are not, I'll show you how I sew no-pucker "turn-and-stitch" edges that never fail to look professional. 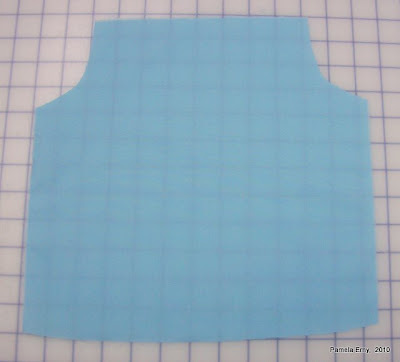 While demonstrated with armscye edges, the same technique can be used on a turn-and-stitched neckline edge, and shirt-tail hems. Here is an example of a top with turn-and-stitch armscyes. The fabric I chose for this example is polyester lining, very slippery, with no stretch at all. I chose a difficult fabric to show how this simple technique will work without any "help" from fabric with natural fiber and/or any degree of stretch. If your pattern calls for 5/8" seam allowances, trim the seam allowance of the edge to be turned to 1/4" or 3/8". Then turn the edge 1/4" (or 3/8" if that is the seam allowance you are using) to the wrong side of the garment and press. the turned edge every 1/2" or so, as shown below. Now available exclusively at FASHION SEWING SUPPLY ! 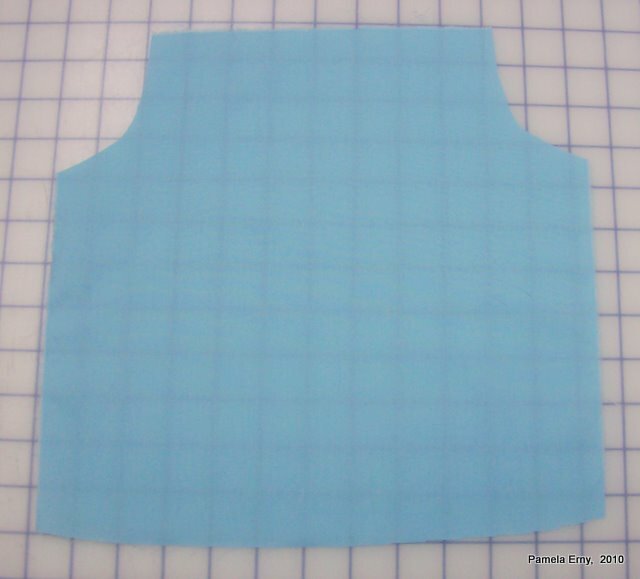 Pro-Sheer Elegance Fusible Interfacing...is the the ultimate lower-temperature fusible interfacing for stable knits and sheer to lightweight woven fabrics. wool" settings of your iron. It does NOT shrink. that we have ever experienced! for stable facings, buttonholes, etc. It is sheer, matte, silky, 60" wide....absolutely fabulous!